Who says you can't go home - or close to it? 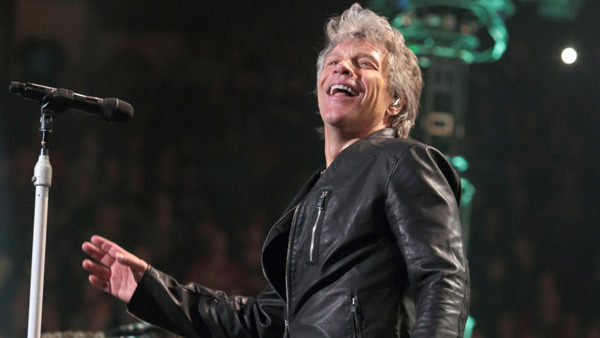 New Jersey rockers and 2018 Rock & Roll Hall of Fame inductees Bon Jovi are bringing the spring leg of their This House is Not For Sale Tour to the PPL Center in Allentown on Wednesday, May 2 and to the Wells Fargo Center in Philadelphia on Thursday, May 3. Tickets for both shows go on sale on Friday, January 19. Tickets for the Philadelphia show can be purchased at WellsFargoCenterPhilly.com, by phone at 1-800-298-4200, or in person at the Wells Fargo Center box office. For the Allentown show, tickets will be available through PPLCenter.com. Bon Jovi released This House Is Not for Sale on Nov. 4, 2016 which debuted atop the Billboard 200 chart, giving the rock band its sixth U.S. No. 1.